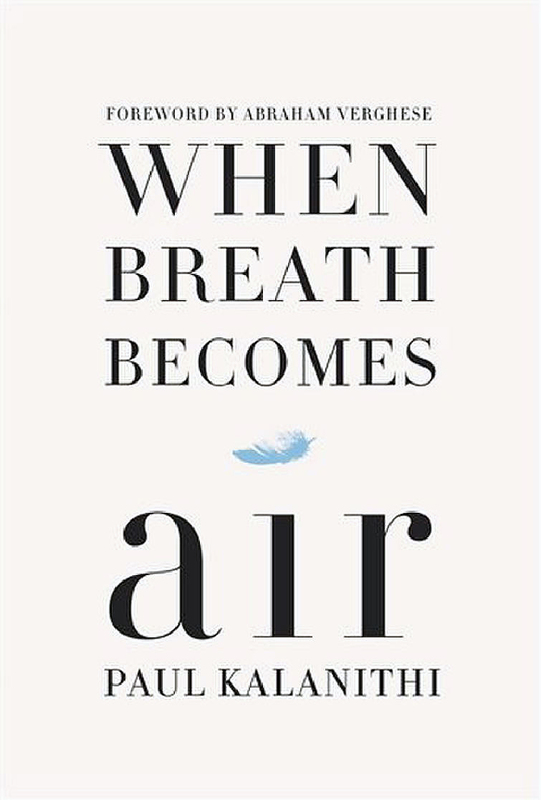 My copy of physician Paul Kalnithi’s book When Breath Becomes Air arrived on the day it was released in January 2016. To be honest, I do not recall why I ordered the book. Perhaps it is because I saw that Abraham Verghese had written the foreword and Atul Gawande had written a positive word about it. Verghese and Gawande are also physician-writers and two of my favorite authors, so perhaps it was the association of those names that caused me to pre-order Kalanithi’s book. I had not read Kalanithi’s article “How Long Have I Got Left” in The New York Times in 2014 or heard his story until I began reading the book. And, once I began reading, I literally could not put the book down. It is that compelling, that beautifully written, and that important. Paul Kalanithi was a brilliant neurosurgery resident; in fact, he was the chief neurosurgery resident at Stanford. He was the winner of neuroscience’s highest research award, and he was a top prospect for a prestigious neuroscience professorship at Stanford. And, if all that weren’t enough, he was handsome, a beautiful writer, an athlete, and the husband of a successful internist. The picture seemed perfect until he was diagnosed with Stage IV lung cancer at age 36, dying last March at 37. 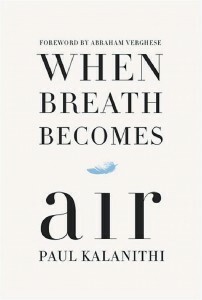 When Breath Becomes Air is more than a book about a brilliant young man’s death. It is a story of his childhood in Kingman, Arizona, with a father who was a physician and a mother who seemed driven to make sure her children received an excellent education. It is a story of how Kalanithi chose medicine and neurosurgery. It is a story of how he became a physician and how he became a patient. But, most of all, this is a book about what it is to look for meaning in our lives and meaning in our deaths and, for me, about how our lives and deaths are inextricably part of the same whole. When Breath Becomes Air is beautiful and sad and joyful — and the tears readers will no doubt shed will surely reflect all three of those things. Once read, its power and beauty will stay with you always.